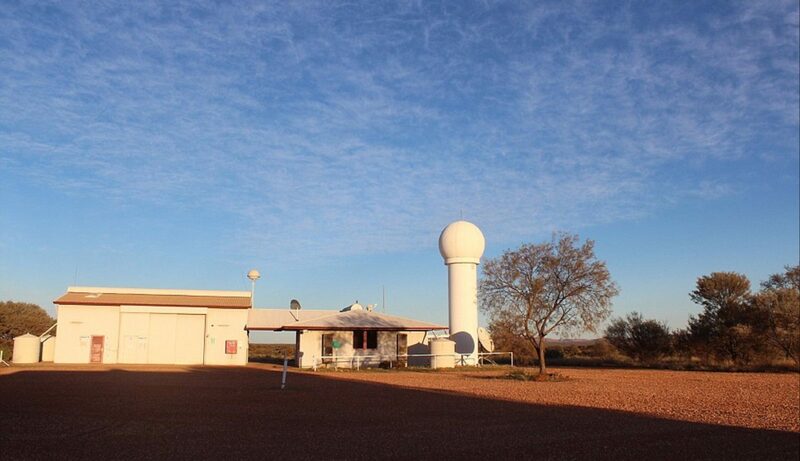 Join the Bureau of Meteorology’s observers for the daily release of the observation balloon and take a fascinating tour of the outback’s Giles Weather Station, Australia’s most visited weather station, despite being the only staffed station within 2.5 million square kilometres. The station, known as Giles, is on the Great Central Road, on the edge of the Gibson Desert, approximately 815 kilometres from Laverton and 1263 kilometres from Kalgoorlie, making it a perfect stop if you’re on the famous Gunbarrel Highway or Great Central Road. Named in honour of pioneering European explorer Ernest Giles, the station was established in 1956 to provide weather data for weapons and rocket testing programs. 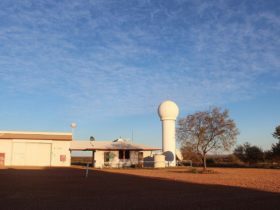 Today, it’s a small but pivotal meteorological outpost, where a team of observers work on six-month rotations, conducting daily meteorological tests. Stop off on your outback adventure and learn about the station’s unique position near the sub-tropical jetstream and its rich history. The nearby town of Warakurna (five kilometres) has a roadhouse, campground, mechanic and all-weather airstrip. The graded Great Central Road is suitable for two-wheel-drive vehicles, but you’ll need a high-clearance four-wheel-drive for the challenging Gunbarrel Highway. Plan your trip to this remote area carefully.